When Jake and Alyssa’s virtual affair peaks while his band tours Europe, Alyssa decides it’s Jake that she wants for her 18th birthday. She surprises everyone, including Jake, with a planned trip to London. After three years apart will it be everything they’ve both dreamed of? Alyssa is soon thrown into Jake’s stardom, delicate family matters and a side of him she’s never seen before. get home before my mother. I’d absentmindedly left the envelope that held the passport application documents, laying on the coffee table, along with the scribbled notes of where Jake was staying in London. I wasn’t ready for her or my dad to know about Jake being back in my life, and it would be immediately obvious what I was planning if she got a hold of that envelope. Hey Alycat – Oh man… I needed to cool off anyway 😉 You have no idea how bad I want you. You really don’t. I don’t think words or songs or anything can truly describe my feelings for you. I have to show you, touch you…send me your flight info so I can pin it to my wall or somethin’. Read Book 1 before you read this novella. You need to know what happened to the characters before you read this review. I read the first book in this series, First Kiss (Heavy Influence #1) about 4 months ago that I stumbled upon when it was free, and I loved it. In book 1 we meet Jake Masterson 17 year old up and coming lead singer for a rock band and Alyssa Montgomery younger girl next door. The relationship they started brought about a lot of problems, but they loved each other, fiercely. Anyway if you read it you know how it ends, and how we were left gutted. 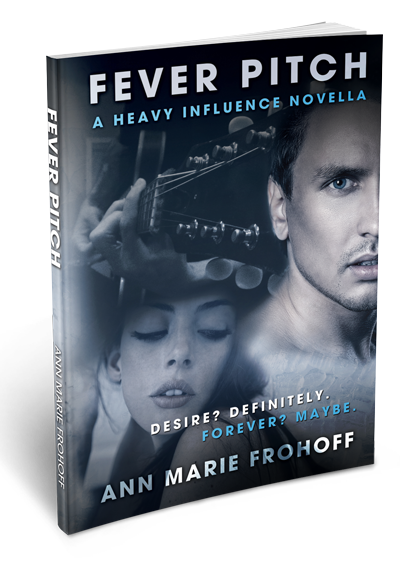 Well guess what this is the novella Fever Pitch (Heavy Influence 1.5) takes place before book 2 Broken Notes comes out and it gives us a tease as to what’s to come next for couple. Ann Marie Frohoff did it again! She had my emotions up, down, in and out like a roller coaster…I LOVED IT. Jake and Alyssa have been communicating with one another while he is away. Alyssa and Jake still love each other with the same intense emotion as before. Alyssa is turning 18 and has made plans to spend her 18th birthday with Jake in London. This is a novella so it is a quick and short read but the intensity is still as strong. Alyssa is in a relationship with a guy named Nathan. Ok honestly I know I love Jake but let me just say that Nathan is such a catch. Alyssa has always been honest in their relationship and before she goes to London, she comes clean and breaks it off with Nathan. This is the mature Alyssa, it hurts her to do this but she knows it is the right thing to do. Alyssa has matured a lot while they have been apart, whereas Jake I feel still has not. Jake is a in relationship with Sophia, although he says they see other people. He feels this intense feeling for Alyssa, that he has not felt since they’ve been apart but his dishonesty about his life and his relationship is frustrating and painful. Once Aly and Jake come together again in London, their love for each other only deepens. We can feel the love and emotion they have each other. Since I knew what they went through before, I expected their relationship to be even more powerful than in the past. Jake feels these intense feelings when he is around and had Aly close by. Aly, has waited so long to be with Jake, she needs him just as bad. I know this is a prelude to Broken Notes and I really want a HEA for the couple but as we know things for these 2 are not easy. Aly is graduating high school and on her way to college and Jake and his band are still in heavy demand. Not to mention I find Jake still to be dishonest and immature. I cannot wait to get my hands on book 2 when it comes out. FYI we also get a peek into Book 2 Broken Notes, and let me just say, HOLY SMOKES, I need book 2 now. 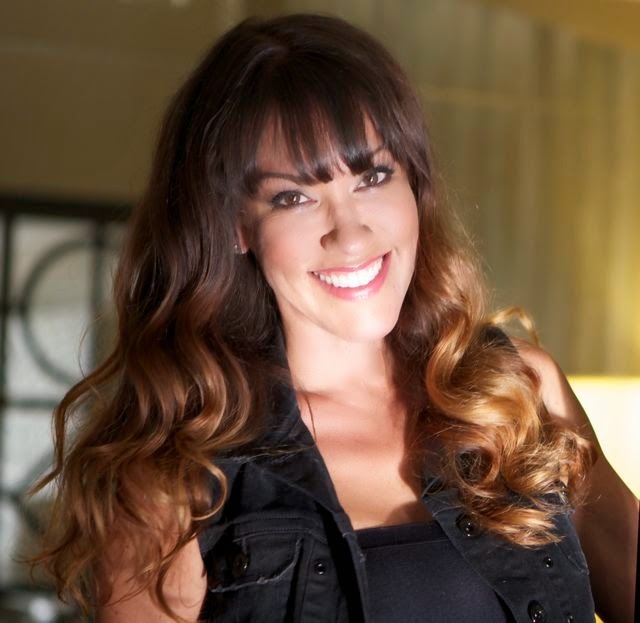 Ann Marie (“Annie”) Frohoff grew up in sunny Southern California. As a teen and young adult, she spent her time frequenting and living in nearly every beachside city up and down the coast.